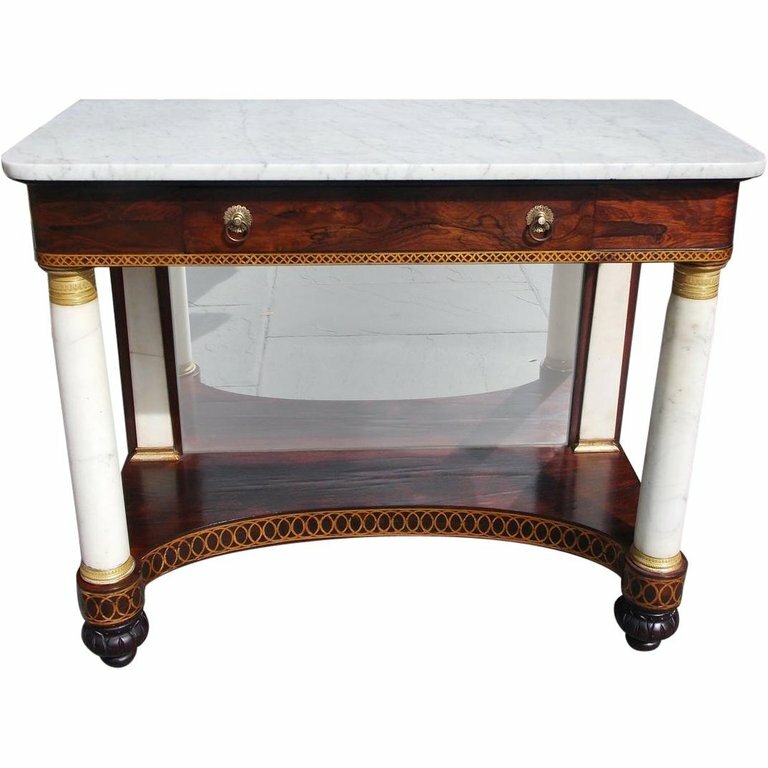 American Kingswood marble-top one drawer console with original brasses, gilt stenciling, gilt ormolu mounts, flanking marble columns, and terminating on the original decorative carved floral melon feet. Console retains the original mirror and wood backing. Early 19th century. Attributed to Joseph Meeks, New York. H 35.5 in. x W 42.25 in. x D 20 in.